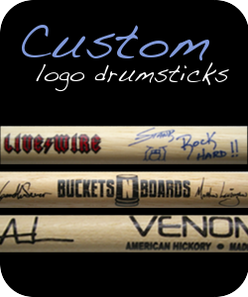 Play with them & sell them as band merch. 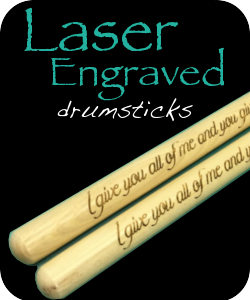 Perfect for drummers, bands, events, fundraising or gifts. For orders of 30+ pairs. Many sizes available. Your message on as few as 1 pair! Perfect gift idea!